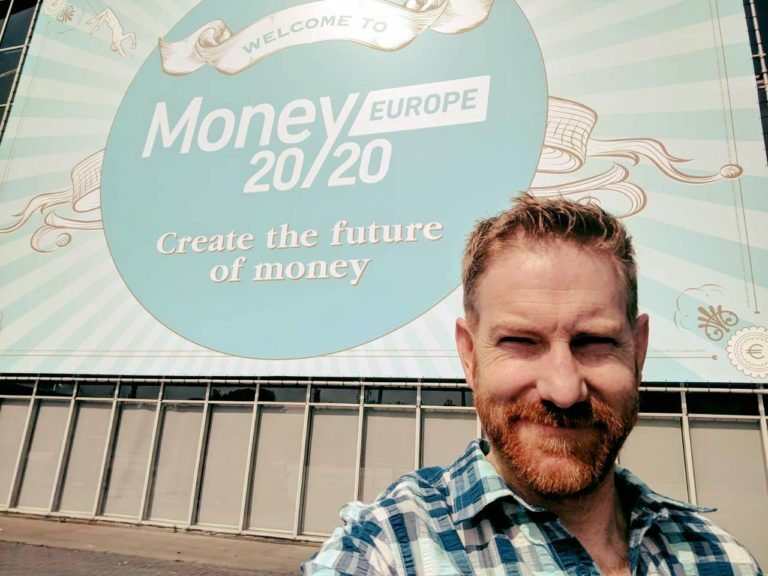 Electrum MD Dave Glass recently attended Money 20/20 Europe, one of the biggest FinTech conferences in the world. He returned inspired, informed and ready to share his learnings. The bigger the banner, the better the event! Payments technology brings together so many cutting-edge fields – AI, data and analytics, distributed ledger technology and more. 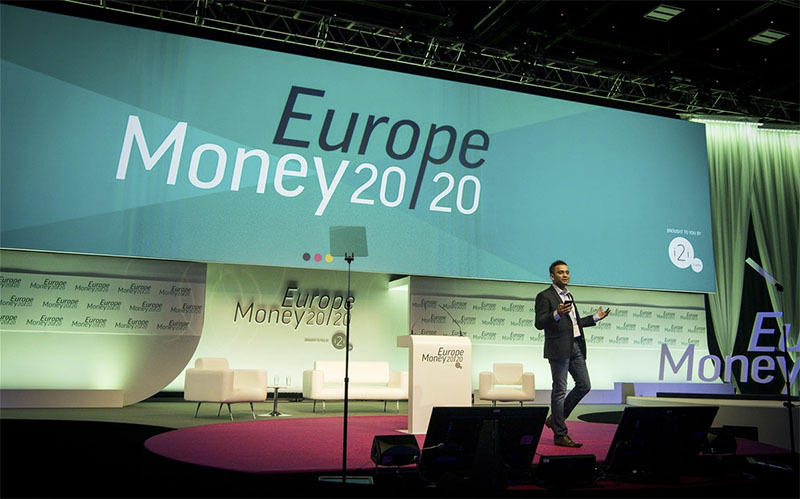 And there’s nowhere that pulls together a better showcase of the very latest in all these fields than Money 20/20 Europe. I was lucky enough to go to the event, hosted this year in Amsterdam from the 4th to the 6th of June. It’s an event that grows bigger and better every year – the organisers say there were 5,000 attendees from more than 1,500 companies and 80 countries. We thought it was important to attend so we could hear from leaders in the field, to network and to benchmark ourselves against the best in the world. It didn’t hurt that some luminaries like Apple co-founder Steve Wozniak and behavioral economist Dan Ariely were speaking! But I was just as intrigued to hear from two of the world’s biggest players, Tencent and Alipay, both from China. When The Woz speaks, the people listen. 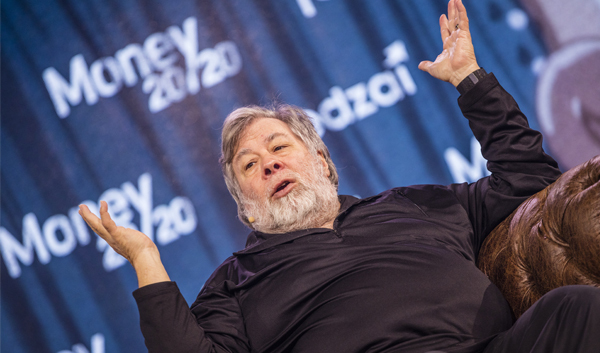 As you’d expect, The Woz chose a major global theme to focus on: cryptocurrencies. 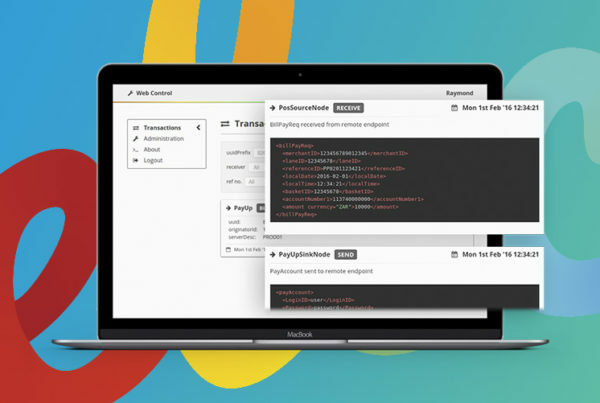 He’s a believer in Bitcoin, but feels the user experience needs to improve – this from a guy who built one of the world’s most successful companies by creating products designed to appeal to customers. 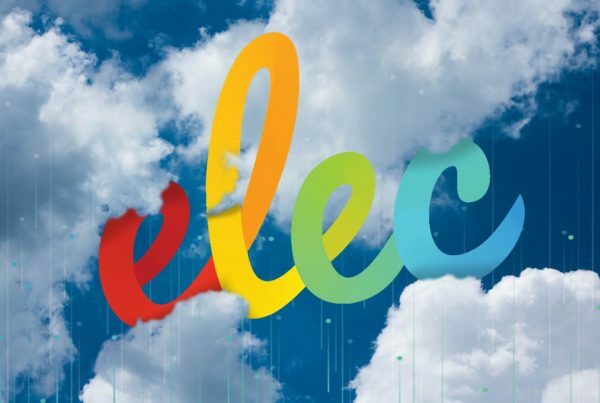 Dan Ariely is someone we really respect at Electrum – so much so, we designed some of our interview processes around his ideas. His books, ‘Predictably Irrational’, ‘The Upside of Irrationality’, and ‘The Honest Truth about Dishonesty’ are all best-sellers and his TED Talk has been viewed over 10 million times. It was fascinating to hear his ideas on restoring trust in the financial sector, something that’s surely eroded considerably since the 2008 crisis. Interestingly, both Ariely and Wozniak are in favour of stronger financial regulations – a theme of great importance for European attendees. The EU’s new GDPR (General Data Protection Regulation) has recently been adopted to afford European citizens greater data protection and privacy. On the other hand, the new PSD2 (Payment Services Directive) is set to liberalise the European market, enabling bank customers to use third-party providers to manage their finances. Still, the European payments landscape has a long way to go to catch up to the Chinese example. China is a market that’s leapfrogged card payments, going straight from cash to mobile. WeChat Pay, owned by Tencent, is particularly impressive in the array of integrated services they offer customers: messaging, calls, payments, P2P transfers, taxi hailing, food delivery, financial services and even the ability to book doctors’ appointments. And Alipay, the biggest payments platform in China, just announced they’ll be launching in 20 European countries, so European players will have to be on their toes. It was in some ways disappointing that emerging markets were underrepresented at the conference, with only 30 or 40 speakers, according to my count. The narratives that are important to us, like expanding access to financial services or using basic tech like USSD for complex transactions, were nowhere to be found. But in fact, the absence of these is an indication that we’re doing a few things the rest of the world can’t. What’s more, although there were many impressive ideas presented, we’ve been offering many of the same services to our customers for some time already. 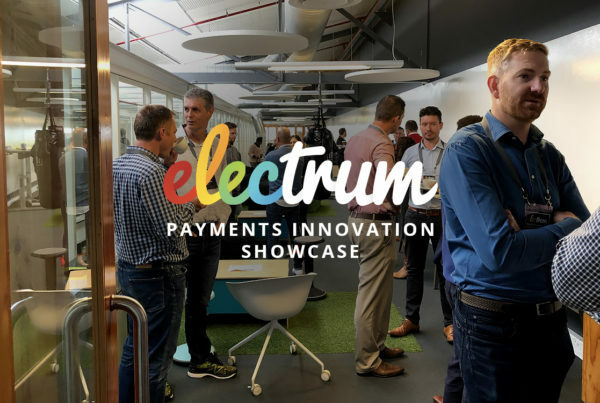 All in all, Money 20/20 Europe was a great mix of inspiration and affirmation for Electrum – I’m inspired by the ideas and technology, and committed to keep producing quality products that put the customer at the centre.